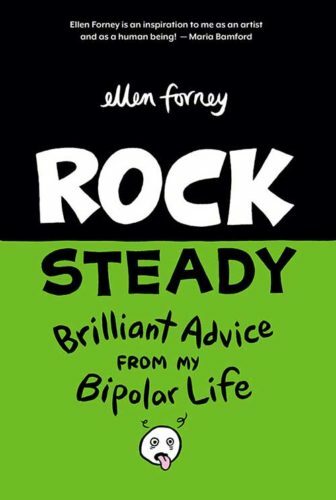 Ellen Forney, Rock Steady: Brilliant Advice from My Bipolar Life. Fantagraphics, 2018. $19.95. Rock Steady begins with an energetic welcome: “Hi! I’m Ellen Forney, bipolar cartoonist.” The word “bipolar” is wedged between Forney’s name and occupation. This labelling suggests an ownership of her mental illness that is a far cry from the uncertainty and franticness of Forney’s previous mental illness narrative, Marbles. Fourteen years after the events depicted in Marbles, Ellen is fresh, composed, sure of her identity. Intent on writing a book of “coping tools, [from her] personal point of view,” Forney’s text is an approachable guide to dealing with any of life’s overwhelming trials and tribulations. Forney describes several interconnected coping mechanisms that are needed to achieve balance by outlining her self-care system SMEDMERTS: Sleep, Meds, Eat, Doctor, Meditate, Exercise, Routine, Tools, Support. In Rock Steady, Forney uses the inclusive voice of the first-person plural. With this voice, Forney invites the reader into her disability community, drawing on the notion that we are all a part of the disability community at one time or another. In this way, Forney crafts a mutual support group with the reader. The book itself transforms into a support group, and through it, Forney makes herself available to the reader at any moment. 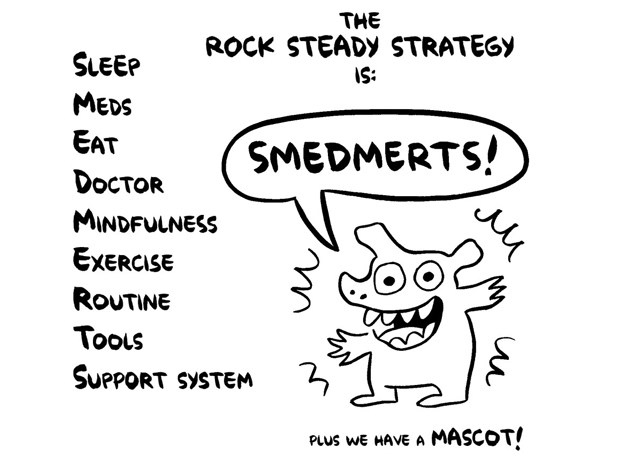 Rock Steadyincorporates medical information into its support group structure not to overwhelm the reader but to position the reader as agent of their own well-being. This commitment to the shared We/Our communal space of the text manifests in Forney’s interactive address to the reader, such as her request of a “show of hands” for all the people experiencing insomnia (12). Forney’s balance between the subjective and objective view of illness is prevalent throughout Rock Steady. For example, after describing the cycles of Bipolar Affective Disorder (BAD) from the DSM-V, Forney illustrates her personal cycle of BAD. 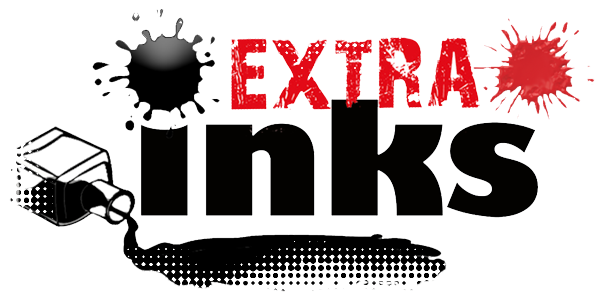 She provides advice about keeping a routine with her initial fears that a routine would dull her creativity. Outlining various medical charts for keeping track of mood swings, eating, sleeping, and sociability, Forney opens her journal to the reader, revealing her own personal tracking charts. Through such inclusions, Forney makes herself vulnerable, acting as an exemplar, and behaving as a conduit for the reader to embrace their own vulnerability. Forney balances a potentially effacing category of illness with her own unique experience of the illness in a way that encourages the reader to assert their own subjectivity throughout the coping process. Forney’s determination to provide an easy-to-follow approach to coping is visually apparent in her style. Unlike the chaotic diagrammatic double-page spreads that detailed her mania in Marbles, Rock Steady’s visual style is balanced, not overly verbal or complexly visual. Forney’s visual and verbal elements reflect her desire to achieve (and help the reader achieve) this internal balance. Simple visual metaphors like wellness as interconnected mechanism and the merit badge system of coping with mental illness are set against neatly spaced blocks of text that prevent overwhelmed reading. Rock Steady also takes a refreshing approach to the diversity inherent in mental illness narratives. Forney suggests referrals and resources from various spiritual associations and cultural groups for finding mental health professionals and practices. Forney explains that “there are added hurdles to finding mental health care in non-white communities” and reflects that mental health issues, stigmas, and understandings are culturally specific, not universal (33). Forney further notes that this may intersect with cultural and gender biases towards mood disorders (33), and that achieving wellness is a complex issue. This blend between the subjective and objective view in Forney’s text transitions the disability community into a group that is acknowledged for their diverse subjectivities—a view that should be reflected in health practice. Forney writes: “Everyone responds differently to different treatments. What works for you may be clear right away, or it may take a long time. Short term solutions may be different from long term” (34). Ultimately, Rock Steady synthesizes complex and disparate personal and objective medical information in a clear and approachable way while also dispelling circulating myths about mental illness and therapy. For example, she writes that Family Focused Therapy “doesn’t presume that the family is dysfunctional, just that family dynamics are important, and that a collaborative approach plays an important role in a patent’s stability” (43). Forney similarly works to balance the light and dark, and positive and negative, of current therapies. This attention to clarity, balance, and inclusivity throughout Rock Steadyresults in the reader’s ease with an otherwise intimidating subject. Irene Velentzas is a PhD Candidate at Memorial University, working under the supervision of Prof. Nancy Pedri. She has an academic background in Psychology, English, and Education and interests in archiving and creative writing. Her doctoral work examines comics’ capacity to reconstruct representations of mental illness through autographic narratives. She is has recently finished curating a special exhibition of original comics art in St. John’s, NL entitled “War in Comics” and is currently co-editing a volume entitled Sexuality and Mental Illness in Comics.